Social Relations Modeling of Behavior in Dyads and Groups covers software, interpersonal perception (adult and children), the SRM with roles (e.g. in families), and applications to non-human research. Written in an accessible way, and for advanced undergraduates, graduate students and researchers, author Thomas E. Malloy strives to make inherently abstract material and unusual statistics understandable. 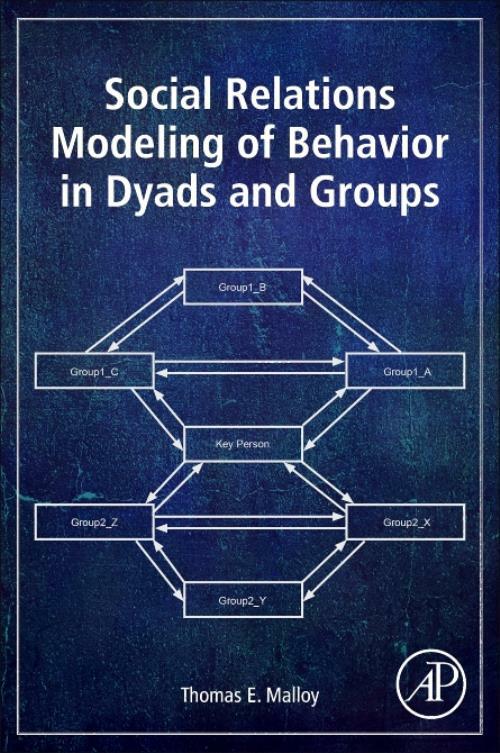 As the social relations model provides a straightforward conceptual model of the components that make up behaviors in dyads and groups, this book will provide a powerful conceptual and methodological toolbox to analyze behaviors in dyads and groups across the sciences. This book is specifically designed to make this toolbox accessible - beyond interpersonal perception phenomena. It helps identify the relevant phenomena and dynamics surrounding behaviors in dyads and groups, and goes on to assess and analyze them empirically. Thomas E. Malloy has conducted research on interpersonal perception, peer perceptions in classrooms, intergroup relations, and reconciliation, individual differences and behavior, cross-cultural psychology, research methodology, and healthy psychology. He is currently funded by RI-INBRE and the National Institute of General Medical Sciences, a component of the National Institutes of Health (NIH) to study Visual Attention to Faces of in-group and out-group members. Professor Malloy directs the Intergroup Relations Laboratory at Rhode Island College. He works with researchers at the Finnish National Institute of Health and Welfare on the 1987 Finnish Birth Cohort Study, a 25 year longitudinal study of all those born in Finland in 1987. Professor Malloy is collaborating with researchers at The Hebrew University of Jerusalem on the quality of listening in dyadic interactions. He is also collaborating with researchers at the University of Ulster in Ireland on face-to-face dyadic interaction. He has offered methodological workshops at annual meetings of the Association for Psychological Science on Social Relations Modeling of Dyadic Data.